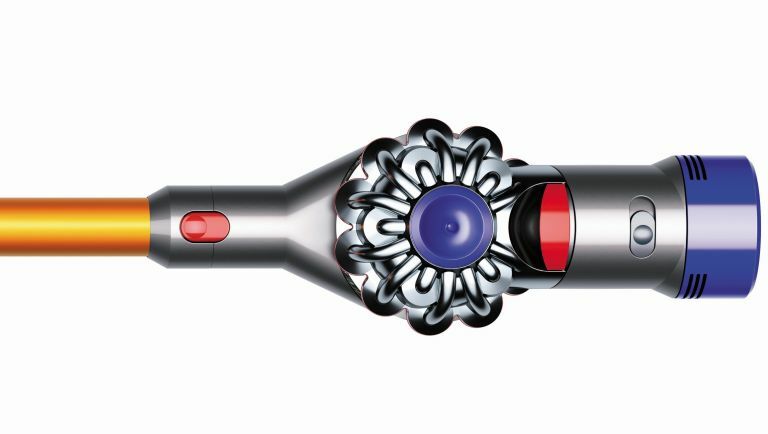 Dyson's latest generation cordless, the £499 V8 Absolute, replaces 2014's Dyson V6 and marks a decade since the company first released a cord-free cleaner. Cordless vacuums have already come of age in terms of their cleaning ability but – just like phones and laptops – their battery power has been limited. Not so with the V8. Check out the best Dyson V8 deals here and the reasons why you'll want one further down. If you're considering a cord-free, lightweight vacuum cleaner, definitely take a look at the Dyson V8. Probably more suitable for smaller homes, as the Nickel-Cobalt-Aluminium battery only lasts up to 40 minutes, or 25 with a motorised floor tool attached. However, with it's 2 tier Radial cyclones technology and direct drive bristles that get deeper into the carpet, its cleaning performance is very good. With twice the suction of any other cord-free vacuum the Dyson V8 Absolute is a worthy contender. This multi purpose vacuum can transform into either a handheld vacuum or a lightweight ceiling vacuum through an extended cleaning head. Multi heads have been invented for the Dyson V8 to give a thorough clean on carpets or hard floors. So why is the Dyson V8 so great? That's enough to vacuum all but the largest homes, whereas you'd have to pace it around to clean decent-sized homes previously for fear of having to come back to the job later after a recharge. Dyson has long extolled the virtues of its motors versus those of its competitors and having tested many of them, it's clear that performance varies wildly. “Some cordless vacuum cleaners use small motors that can be weak, while others rely on heavy motors that can compromise versatility,” it says. The V8 motor runs at 425W, compared to the previous generation V6 which ran at 350W. It spins up to 110,000rpm for powerful fade-free suction. It's what Dyson has invested most money in developing over the last decade. The V8 is “the result of 18 months research and development and 500,000 hours of testing,” says James Dyson himself. In 2016, Dyson says it will produce 8.8m digital motors – that's approximately one every 3.5 seconds. 376 robots are used to assemble Dyson digital motors, as even the most dextrous human hand isn't precise enough: the smallest manufacturing tolerance is +/- 3 microns, which is approximately a quarter of the thickness of a human hair. Ley components like the motor and battery are positioned near the hand to shift the centre of gravity and making the cleaning end of the vacuum much lighter. The overall weight isn't different to the V6, so it's just as manageable despite the new motor and other components like the larger bin.